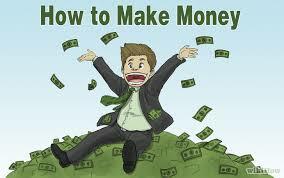 IN THE KNOW WITH RO: REVIEWING FOR FUN OR GETTING PAID. WHICH IS BEST? When I first started reading novels years ago, the only things I noticed were the blurbs and book covers, before happily moving on to the next story. It wasn't until 2004 that I began to pay attention to reviews that were inside of the book. It took a while longer before I actually sought out reviews to help make informed book purchasing decisions. Despite a massive TBR pile and many favorites, there are only 5 authors that I'll purchase without reading a review or the blurb about their novel. Every other suggestion on new books or authors, come strictly from bloggers. The effort they put forth in reading or listening to a book, then sharing that knowledge is a much needed element. Some may feel differently, but I believe that reviews sell books for authors, and become topics of discussion for readers. I also think that for the most part, authors really appreciate knowing what we think about their writing efforts, the covers or even the genre they've chosen. 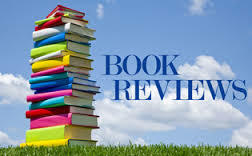 When possible, every effort is made to provide positive feedback for all those authors who labor day and night to come up with such amazing stories, so I can't imagine a world without book reviewers. Some are straightforward, a few are brutally blunt, many are hilarious, most are well-written, and they are all entertaining. Many book reviewers are also getting into the review of merchandise, as well. What about you? Do you need to see a review before picking up a new novel or product for your reading pleasure? Do you pay attention to the opinions of others? Kirkus Media is seeking experienced book reviewers of English and Spanish-language titles to review for Kirkus Indie in various formats and genres. If interested, pass on your resume, samples of your writing, and a list of preferred genres to David Rapp at Drapp@kirkus.com. 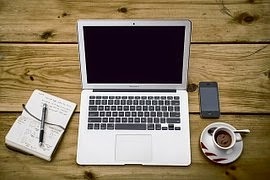 Bloggersrequired.com is a great place to get products to review for cash or the use of the product. Some are strictly for overseas, but others are designated specifically for US Bloggers. http://onlinebookclub.org/free-books-for-reviews.php - This site has a large volume of books to choose from, and even though you won't get rich, you can get paid for your reviews. 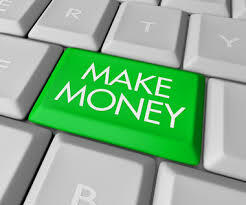 With over 5 Million subscribers, Kyle Taylor and team created this website to tell you how to earn money in unexpected places. I'm not kidding. You will be truly amazed! 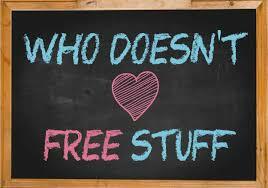 Then share your ideas for cash! Send those articles to: editor@thepennyhoarder.com. 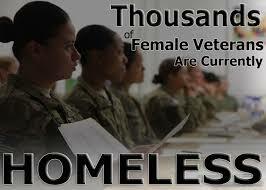 The holidays are weeks away, yet there are literally thousands of female veterans who are homeless with nowhere to go. They have left their homes because of domestic violence, can't find a job to pay all the bills, or never hear back from all the organizations that promise to help. That woman behind you in the grocery store is wondering if she can find a safe place to sleep in her car for the night, or crying because she has to go to a job interview without a shower or clean clothing. In North Carolina, there are technically very few organizations that may assist with female veterans who are homeless. Volunteers of America, Passages, Family Endeavors, United Way, Alston Wilkes Society, and Community Link are the ones that come to mind. Some of these are affiliated with each other. Some will help, but I promise you they don't move quickly, which can be very stressful to a woman who needs a place to live right now. While they are unable to offer financial assistance, visiting www.operationwearehere.com may make you feel so much better. Ms. Benita Koeman is the founder of this site that provides many resources in different states. When you see the site, you'll wonder how in the world she has time to reach out personally to those who have questions, but she does. Ms. Koeman epitomizes the meaning of kindness, and we appreciate her. Do you know someone who's homeless without a place to call her own? Is someone you know unable to pay rent? If you can, reach out with hugs of support and monetary assistance to help these women get on their feet. They served our country to protect us. I'm like you, I have just a couple of authors that I auto buy books without even reading the back cover. I do read reviews before getting a book and I have put so many books into my wish list after reading reviews for it on blogs. Years ago I never thought I would write a book review because I read so may great ones and didn't think I would do a good job. I didn't start leaving reviews until a couple of author friends asked me to. Me too, Ro! I am generally a blurb reader and I rely heavily on reviewer opinions as to what books I'll buy or add to my wishlist. I love the discussions and varying opinions I get reading reviews so I get a better idea if the book is for me. I usually get my book recommendations from friends that I know read a lot. After that I just dive in head first. Guess I'm a "no spoilers" kinda guy whether it be TV, Film or Literature! "Do you pay attention to the opinions of others?" Yes! Have a great weekend, RO!! I have a few bloggers whose reviews I check before buying books, if they give 5 stars, I will just one-click the title they're reviewing! I sure hope so. Otherwise, what the hell are we all doing pouring our hearts/anguish out on the blogosphere for? Lol. I always read reviews before buying a book unless it's an auto buy author and there are only a handful of those. I read tons of book blogs so that's pretty much how I got into certain books, the reviews really help to decide whether to read a book or not. and also almost all merchants have reviews for their product/services, honesty, I don't think I could decide to buy anything without first reading a review. & yes, there are certain books/movie/music that I buy without reading a review because I like these people's creations. I was shocked to realize that a large portion of our military actually qualified for the low-income government programs I work with and there are several former and current military families in my case load. It breaks my heart that some are involuntarily homeless and on the streets. I didn't know about her organization so thanks for putting it on my radar. What saddens me most, is that there are so many organizations, yet many don't even bother to respond!!! That's crazy. I'll be doing another blog about homelessness along with all the veterans programs, and their response time. I promise you, it will be mindblowing. Hugs..., and thanks for passing on her info.